I had an issue with my HTC Trophy and the SMS messaging. My phone receives an SMS message but I cannot read it even though I see the text in the notification area at the top of the screen. It also did not appear in the thread in the Messaging hub. 1) The integration with Windows Live meant that all my contacts were all available having signed in during the welcome screen. I expected this to be pretty straightforward due to the integration of services like Windows Live. This included all the pictures I assigned to contacts too. I think I may prefer Twitter integration using the People hub for reading tweets than having to go into an app like Birdsong – it is far quicker. 4) Remote install of apps – This is the coolest thing I found by a long way. 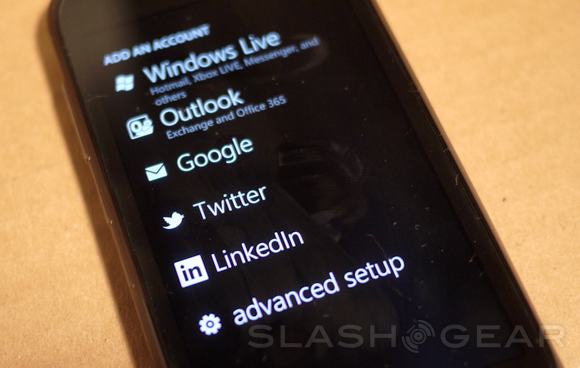 I logged on to Windows Live and looked at my phone details. 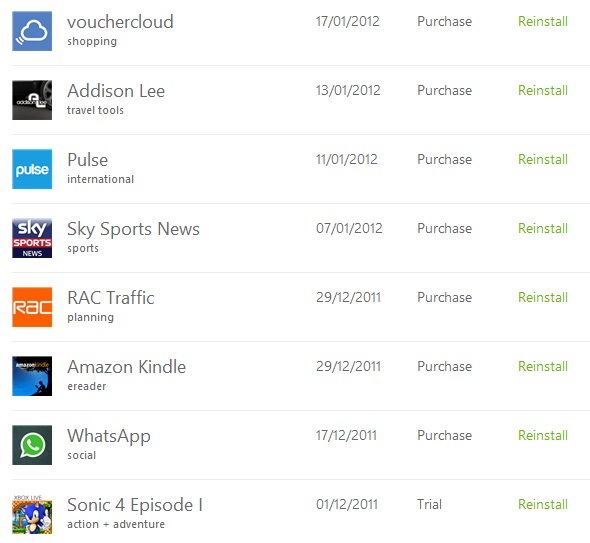 I noticed when clicking on Account – a list of all my installed apps including and whether they were Trial or Purchased. I then noticed a “Reinstall” option and when selecting this you are able to remotely send a request to your phone to install your chosen app. My Windows Phone then just started to install the app by itself. This is a really neat feature which could be further improved if you could select a batch to be installed. After my intial displeasure of having to wipe everything (hard reset) from my Windows Phone, the experience to get everything back was much smoother than I expected and although I know about Windows Live and contacts I also learnt about some new features too. The fact that I lost all my text messages is still not great but I think a feature to back these up in the cloud would distinguish Microsoft from other players. Roll on Windows Phone 8!